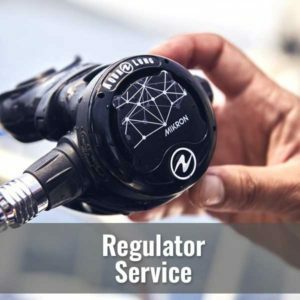 We are the region’s authority on Scuba Cylinder Inspection and repair. Please call us with any questions about your cylinders. 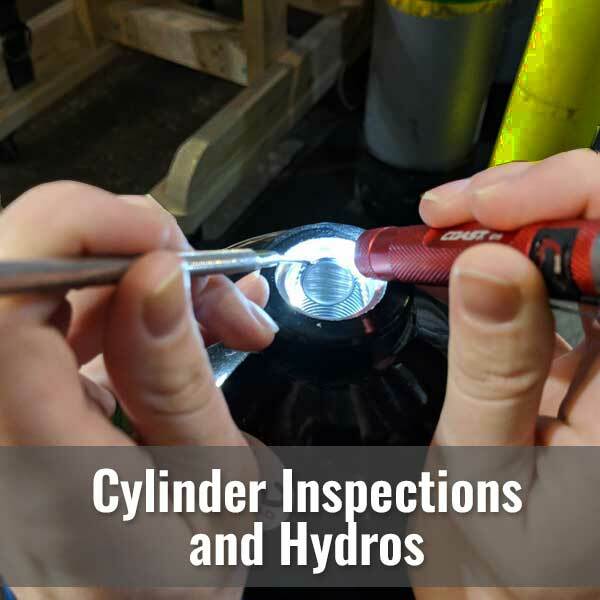 Scuba cylinders should be handled carefully to avoid external damages. Never allow your tank to sit completely drained of air as this may lead to condensation inside which can cause corrosion. Required every five years by the U.S. DOT. This test ensures that your cylinder has not lost its elasticity and become brittle. Due annually per the inspection sticker on your cylinder. This test examines your cylinder for external and internal damage such as dents, cracks, gouges, smells and other contaminates. We also examine your valve. We are certified by PSI/PCI. 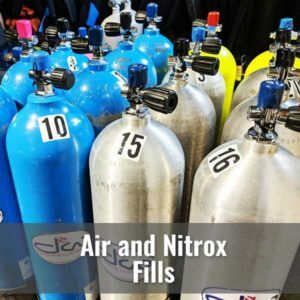 If you are using Nitrox, most facilities in this region will be utilizing partial-pressure blending which requires your cylinder and valve to be oxygen cleaned for safety. 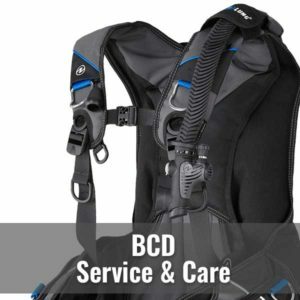 Diver’s World is the region’s leading authority on cylinder cleaning utilizing the Global Scuba Manufacturing series of cleaning products and processes.